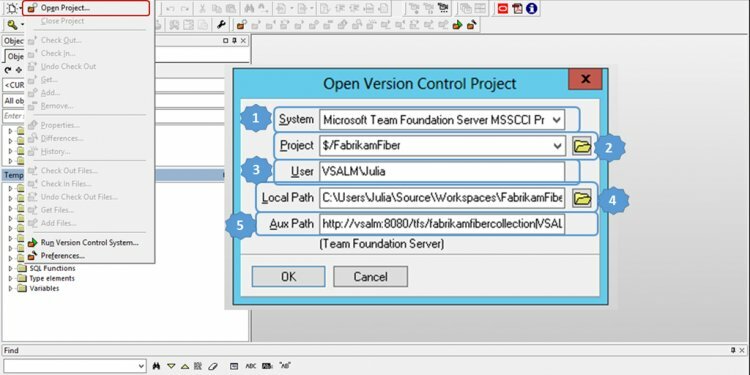 You can use Team Foundation Version Control (TFVC) to scale from small to large projects, and by using server workspaces, you can scale up to very large codebases with millions of files per branch and large binary files. TFVC is a centralized version control system that lets you apply granular permissions and restrict access down to a file level. Because your team checks in all their work into your Team Foundation server, you can easily audit changes and identify which user checked in a changeset. By using compare and annotate you can identify the exact changes that they made. Spend a few minutes to set up your dev machine to take advantage of all the benefits of a version-controlled codebase. You don’t have to think about version control in most situations. The system supports you when you need to manage and understand your changes. Sometimes you need to set aside some or all of the work you are doing. Your version control system can take away some of the pain and reduce the time wasted by interruptions. Check in your changes so your team can build upon, test, and release the value you’ve created. Use branches and locks to isolate risk introduced by work done by different teams. One advantage of a version control system is that you can look back in time to get detailed information about what changes have been made to your files. You can compare server folders and local folders to each other, and view the differences between the contents of each folder. A big advantage of using version control is that several people can work concurrently on a file. One drawback is that sometimes you must resolve conflicts. Although it can be frustrating to encounter conflicts, the system provides information and tools to help you understand and resolve conflicts.